Jason and Ben spend a few short minutes telling you about some of their favorite podcasts they don’t currently host. 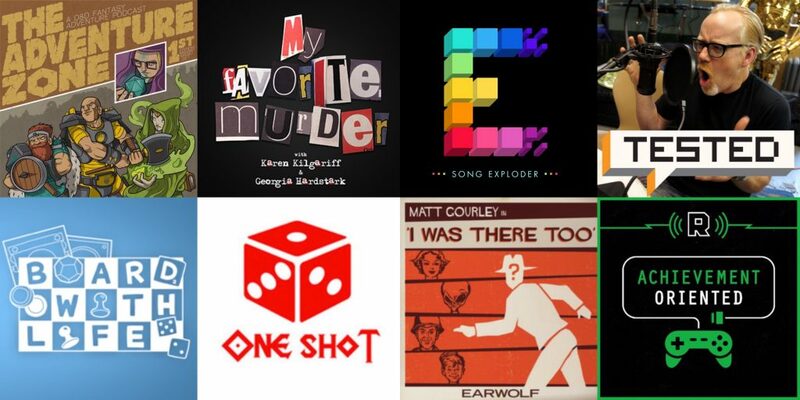 It’s a fun, relaxing moment to find out about a few new shows you might currently not be listening to, so give it a quick listen and see if you find something you like. The goal of the #trypod movement is to spread the word about podcasts. If you have a friend who doesn’t listen to podcasts, try to recommend one to them. For yourself, try listening to a new podcast you’ve never heard of. The point is: spread the word. We here at MOLMF think this is a wonderful medium that’s pretty special and hard to replicate in other genres of media, which is why we’re jumping on this #trypod train. Hopefully you can find a few new podcasts, spread the word to other people as well, and overall grow this small community of broadcasters. Thanks so much for joining in! This entry was posted in Side Quest and tagged #trypod, Podcast, Side Quest.